TODAY, SUNDAY, MAY 6, 2018, THE RADIUS INVITATIONAL 3 WILL BEGIN AT 11:00 A.M. AT THE FAIRFIELD THEATER COMPANY IN FAIRFIELD, CONNECTICUT. 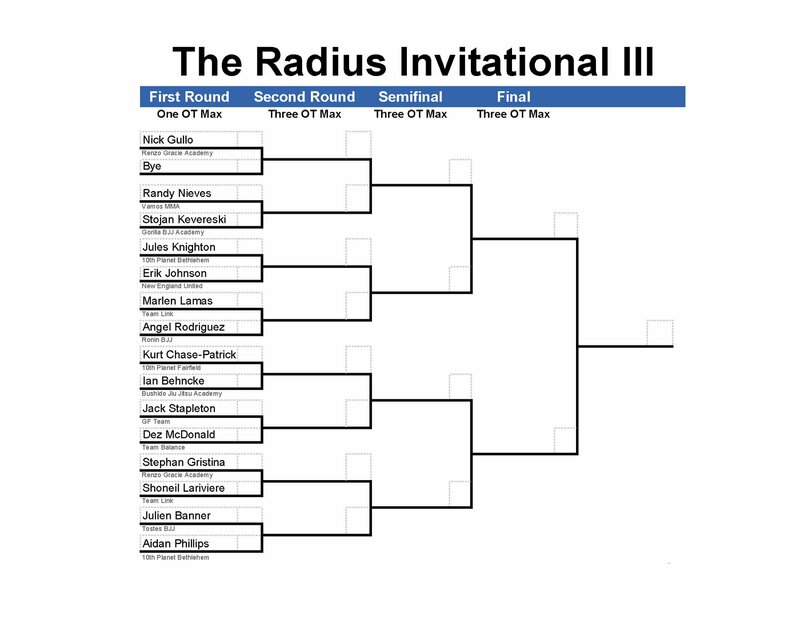 The Radius Invitational 3 event will be available for live streaming at RadiusMartialArts.com. Tickets to attend the event live are still available through the Fairfield Theater website or at the door. Ticket prices are $25 for adults and $10 for 12 years and under. Nick Gullo gets a pass through the first round due to being short one competitor. Winner – Banner by submission in regulation. 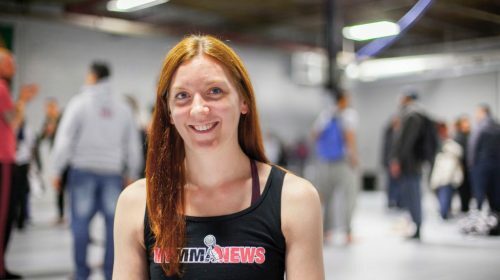 Banner takes home $1,600 cash with all submission victories in today’s tournament.